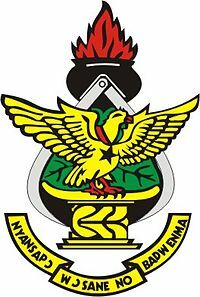 Kwame Nkrumah University of Science and Technology is a university in Kumasi, Ghana. It is the second public university established in the country. The university has its roots in the plans of the Asantehene Agyeman Prempeh I to establish a university in Kumasi as part of his drive towards modernization of his kingdom. This plan never came to fruition due to the clash between British empire expansion and the desire for King Prempeh I to preserve his kingdom’s independence. However, his younger brother and successor, King Agyeman Prempeh II, upon ascending to the Golden Stool in 1935, continued with this vision. Events in the Gold Coast in the 1940s played into his hands. First there was the establishment of the University College of the Gold Coast. Second there were the 1948 riots and the consequent Watson Commission report which recommended that a university of sciences be established in Kumasi. Thus, in 1949, the dream of the Prempehs became a reality when building started on what was to be called the Kumasi College of Technology. Economic indicators provide a snapshot of the economy’s health. Just as a doctor checks the vital signs of a patient, an economist might check the vital signs of the economy by looking at gross domestic product (GDP), consumer price index (CPI) or the unemployment rate. The Federal Open Market Committee (FOMC), the policy-making body of the Federal Reserve System, examines many economic indicators prior to determining monetary policy. The indicators available through the following links are examples of some of the factors the FOMC considers before issuing its directives on monetary policy.